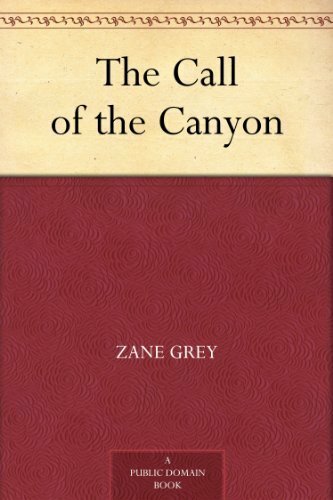 The Call of the Canyon’ is one of Zane Grey’s most powerful novels. It is filled to the brim with adventure and romance. In the novel, Grey draws a sharp contrast between the decadent decline his protagonist sees in the cities of the East Coast and the hardworking pioneers forging new opportunities in the West. This is one of Zane Grey’s more modern western stories. It a story about a man comes home from World War I with shell shock. Instead of staying the city he moves out west where he finds a new life. Then his girlfriend follows him out there and the stories continues. I enjoyed the cheesy love story and the good characters and the romanticized west.